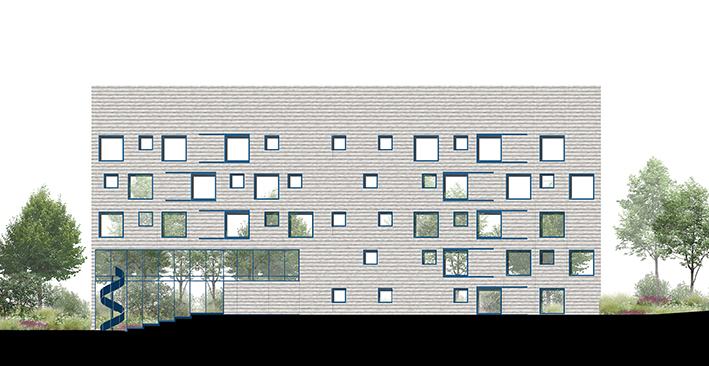 Proof of the sum, SVR-architects, Exilab and Studiebureau Riessauw win design competition for new accelerator at Science Park Arenberg. 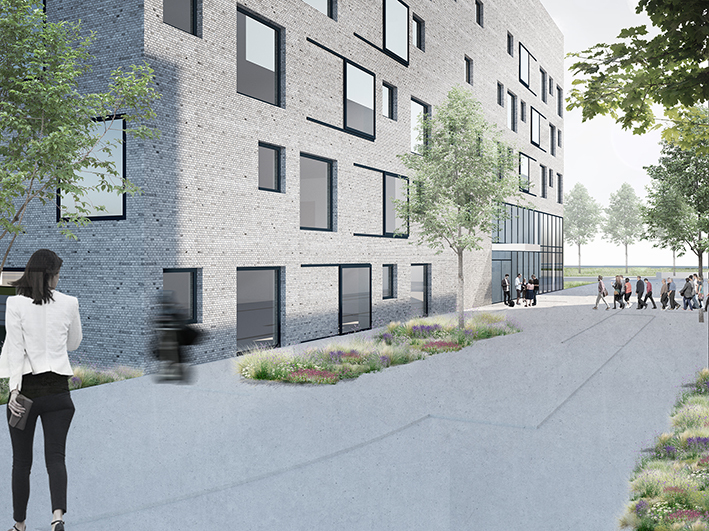 The Arenberg Science Park wants to strengthen the high-tech region of Leuven by offering a stimulating environment and a well-developed infrastructure. In this way, the science park wants to support young, high-tech companies and (international) R&D-intensive companies that want to collaborate on research in the Leuven region in the long term. 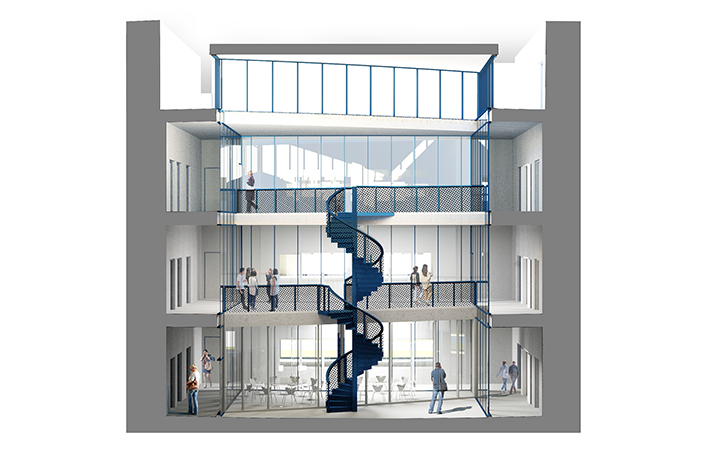 The Arenberg Science Park offers multifunctional office space, laboratories and support services. The companies that set up here are at the cutting edge of IT, biotech and mechatronics. In order to support start-ups and growing companies, Bio-Incubator Leuven was founded in the past by KU Leuven, VIB, Aveve and LSRP. Bio-incubator Leuven is fully committed to the support of research-driven biotech companies. Bio-incubator has multifunctional and flexible office and laboratory space and offers facility, logistical and environmental support to biotech companies with a high growth potential. At the science park Bio-incubator has already realized the bio-incubators I, II and III. 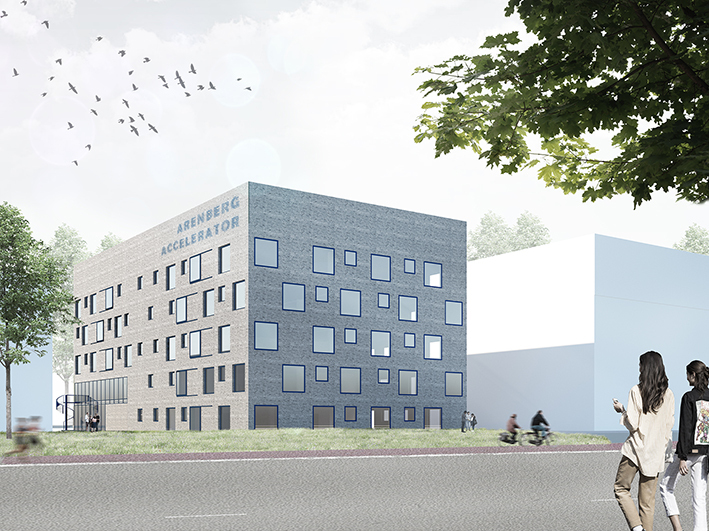 The success of these buildings is underlined by the desire to add a fourth building to the portfolio in the short term: ‘Arenberg Accelerator’. The accelerator building focuses on growing companies and will provide space on almost 9,000 m2 of separately lettable lab office units and a large number of common areas such as meeting facilities, meeting rooms and a cafeteria. Finally, the building houses storage rooms and parking spaces. the integrated design team works together with the client on a number of motives.Strengthening knowledge sharing between the various users is central to the programmatic and functional design of the project. 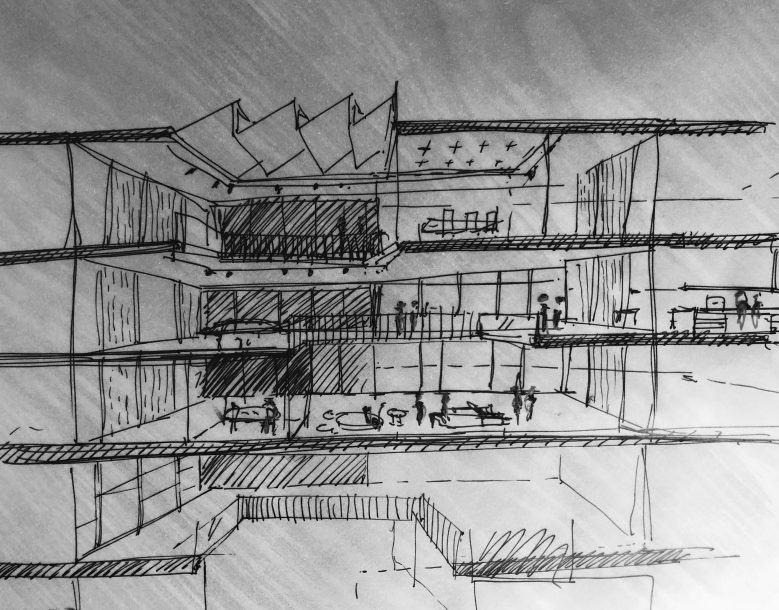 A spatial play of rentable units and common areas strategically divided over a duplex and triplex ensure that the entire building is unconsciously used by every tenant. Expected and unexpected encounters are stimulated by the building program. The cafeteria and the conference center have an attractive effect on the other campus users, promoting the cross-fertilization between different technologies. The unknown and changing research question of the users requires a high degree of building flexibility. Units can be joined together, the ring concept of the techniques allows free installation of equipment and the large spans with high floor loads can anticipate changing use. Finally, Wetenschapspark Leuven participates in the project ‘Leuven2030’, a joint initiative of Leuven residents, companies and institutions to strive for a climate-neutral Leuven. Energy efficiency and sustainable choice of materials are therefore central to the design. Start of construction work is planned for the beginning of 2020.